Since 2001, visitors have been able to peruse two display cases housing our gemstone collection, donated by architects Ezio De Felice and Irene Sbriziolo. 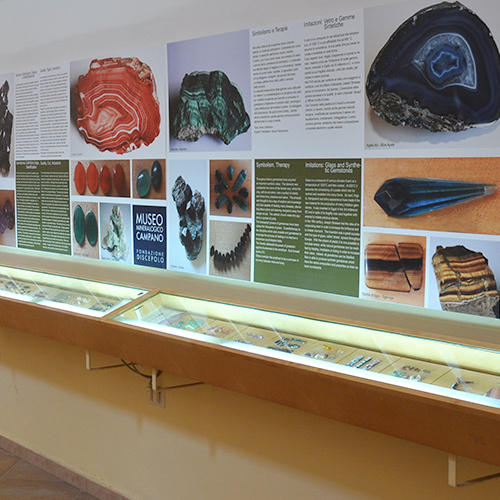 More than 500 small specimens are on display, along with more familiar shaped and polished stones used by jewellers, such as cabochon, and even samples made of glass paste, intended to imitate natural gems. Tiger's eye and Hawk's eye.